So, I see a lot of reading challenges, and a lot of call for diversified authors. Obviously I have thoughts on that. I tend to read books not knowing who exactly wrote them. I am notorious for picking books by their covers. Cover art, in my defence, is very important. there was an article about it in mental floss about it a few months ago and, quite frankly, it blew my mind a little bit. It started me wondering if maybe I should be more diverse with what I read. I tend to also stay away from reading challenges, but then there’s always room for something new! So, thus begins: 196 countries, 196 books. I’m giving myself 2 years to read a book by an author from each of the world’s countries. Why 2 years and not one?! Because I work full time, am pursuing an undergrad, am planting an awesome garden, and- most importantly- I want to still love reading after this. I still don’t know if this challenge can be done. How do I get an author from Vatican City?! I’m not letting this dictate my reading- I still want time to read things like books based on movies I love. So maybe it’s about picking the most amazing books from each country? I’ve heard a lot of people talking about this book. Many didn’t like it, there was a lot of accusations of people calling it kind of her saying “I’m going to write a book but I’m famous now so I’ve lost touch”. I think I went into it expecting it to be about how fame has changed her, and I think it’s really real of her to admit that it has. Of course it has. It would change anyone. The main difference between this one and her first book? Dear god, when she talked about her Mom I was bawling. Girl’s got soul. And hilarity. Also, I made a friend when I was reading this at the bar while waiting for my cousin, so clearly this book is magic. I only read this because Adam wanted to see the movie, and my friend PROMISED me I’d like it. I was wholly skeptical. 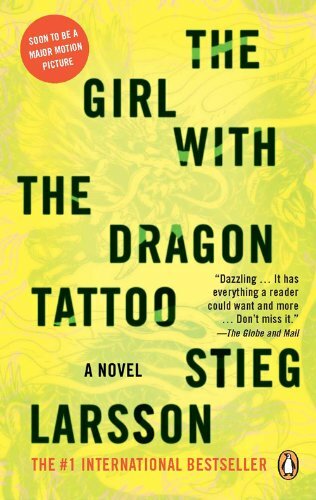 I’m not exactly a sci-fi kind of girl, and I got to the point where the technical language, math crap, and lack of characters was getting to me. Then the book switched to where they were in Houston. The switches between the base and Mars worked annnnnnd…. I loved this book. Mark is a great character, and the nature of the book gives the best opportunity to get to know him. For a situation so dire, damn did it make me laugh. So, while I still think you can a little bit judge a book by it’s cover, I know you can’t judge it by its genre. 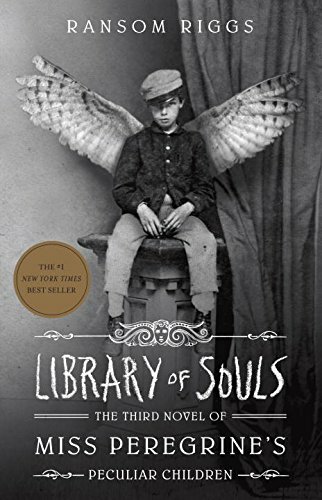 You’ll remember from the first part of this post that I read the first Miss Peregrine’s and liked the range of emotions it made me feel. It was awesome, this book was awesome. It did such a good job of diving into the world that Riggs created and I missed. I like that it picked up right away, the characters were awesome but still pissed me off a bit and made me desperate to read the third. If you have talked to me for longer than 30 seconds since November 14th, 2015, you know I have read this book. You should read this book. I finished it in a day. It’s amazing. Just read this book. I feel bad for this book since it had to follow Room, which stole my heart. However, it’s good. The whole series works together. I’m still into the creepy whimsy of the photos. The ending didn’t work out the way I wanted, but I feel like it ended. I got the sense of completion and closure and this book creates a great sense of place in this weird world. There are definitely some plot holes in the series as a whole, but who really cares? It’s an entertaining read. Highly recommended (for after you finish Room). This book fell into my lap in the best way possible. As I was finishing up Library of Souls I went to my Aunts for a few drinks. Her friend was there, and she saw Library of Souls sticking out of my bag, then immediately ran down to her apartment to get this. 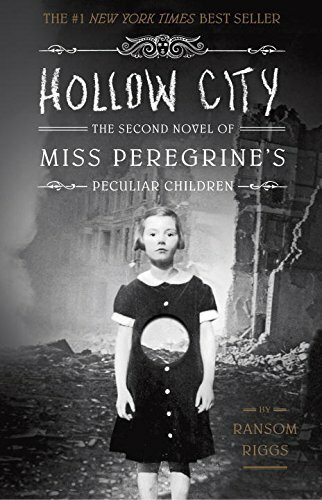 I have since lent her the last two Miss Peregrine’s novels, and now am waiting for the next time we drink to talk about books. Wine and book talk are best friends. So, this book was good. I spent the first part being like, “what the hell is going on here?” and it does that perfect thing where just when you’re about to close it in frustration it makes sense. The only issue I have with this is that I couldn’t read it while I ate. I had some pretty sad lunch hours. Other than that, this book is goooooooood. I got this book because it was $10 at chapters and I’d heard a lot of the hullaballoo about it. I took issue with this in the same way many people did. The prologue got me. It pulled me in. Then it started with this other crap?! No. NO. DO NOT PULL ME IN THEN NOT TELL THE STORY. And the thing is, everyone says the same thing with this book, “give it until page 100, then it gets good.” and I’m sitting here like, well can’t it just be good now?! Seriously, a guy on the train asked me if I’d gotten to the good point yet. Is this acceptable?! Hells. Yes. If you decide to read this, which I think you should, then let me tell you, it is worth the wait. So, I have something up my sleeve for my reading selections for 2016/2017 that I’ve started and I’ll announce as soon as I figure out infographics. Until then, did you read any of the books I did? ALSO DID YOU READ ROOM?!?!! Seriously, if you take one thing away from all this make it reading Room. That book just…. I wish I had more time for reading. I probably do, but my TV/knitting addiction sometimes gets in the way. I feel like when I’m done my degree I’ll be more open to reading as opposed to vegging out- after working all day, studying for as long as I can stand after work…… Well, I need some mind neutralizing time. Instead of going and talking about each book one by one, I’m going to type up a master list (which I know I’ll kick myself for later as I’ve been having a tough time figuring out what to post lately….) in two parts. This sentence is an edit, as I realized as I was writing I actually read quite a few books this year, and will remain smugly proud of myself for the rest of the night. I’ll try to refrain from doing to much summary of the book- the back cover people do that wayyyy better than me, and instead focus on whether or not I think it’s worthy. Spoiler alert, I read a great group of books this year. I know, I’m a little shocked at this one too! It’s one of Adam’s favourites, and he gave it to me for the plane home from Paris. It took me a long while to read. I think a part of it was my mental kind of… Basically, I thought I wasn’t going to like this book. I had never seen the movie, and it just didn’t seem like my kind of thing. However, I’m super happy I read it. Once I got into it, I got INTO it. I’m happy I read it before I saw the movie as I don’t think I would have read it if it was the opposite. Don’t get me wrong, the movie was good, but there’s just something about the book. This book came from my Mom. She bought it for her book club, and I got my hands on it quickly after. I think this may actually be the perfect commuting book. It makes you think, don’t get me wrong, but it’s written from such a unique, wonderful perspective that keeps you laughing. I can’t recommend this enough. I LOVE SARAH DESSEN. There, it’s said, and it needed to be said. I was beyond excited when I heard she was writing something new, and got it for my trip to Australia. I read it on the Vancouver-Los Angeles leg. 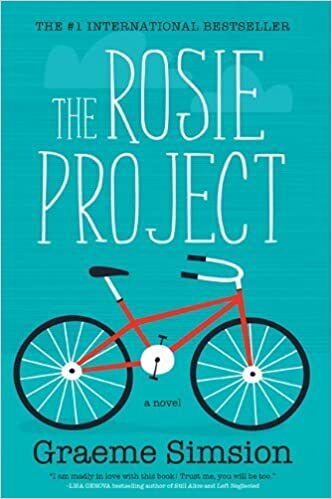 I devoured this book, the story is engrossing and the characters are like the people I wanted to be friends with in high school, but weren’t because I spent most of my lunchtime reading. Also, it helped me discover garlic knots, which are quite possibly the most delicious bread-based thing ever and the best gift anything can give. It’s Judy Blume. There’s not much else that needs to be said, because this woman puts words through from her mind to paper with some unfathomable wizardry. I also took this book to Australia and attempted to read it on the Los Angeles- Melbourne leg. You know what’s stupid? Reading a book about a plane crash on a plane. Seriously. I realized my mistake and didn’t open the book again until I landed in Melbourne. It took me a surprisingly long time to get really into it because of the narrator switches. It irritated me something awful while reading, then at the end it all came together in a way that just…. 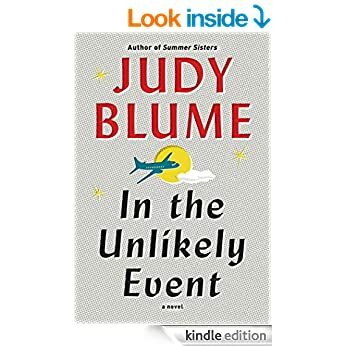 I mean, it’s Judy Blume. Read it. Not on a plane though, especially when you have like 13 hours left on it to contemplate your impending doom. No, this is not a reread. I have managed to survive since 1997 without Harry Potter spoilers. It might, in fact, be my biggest achievement thus far. At the insistence of two of my best friends this finally got read. All things considered, I’m happy I waited. 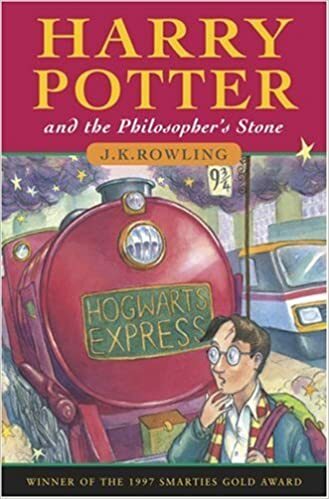 I don’t think I would have liked it half as much at seven as I did now, or worse, I’d be like my little cousin who admits he was genuinely disappointed and shocked on his eleventh birthday when his Hogwarts letter didn’t come. I feel lie this book gets a lot of flack where it shouldn’t and I think that’s mostly because it’s YA. Basically, my journey through this book was super into it at the beginning, the middle pissed me RIGHT OFF, and the end made me need to read the second book asap. Any book that induces such feelings must be good. I liked the photography and the general concept. It felt fresh and it made me really, really want to pack it all in and move to Wales. I know there’s a lot of controversy around the publication of this, most of it focusing on Harper Lee’s ability to consent to it’s being sold. I decided to buy it for the main reason that her beneficiaries were going to publish it when she died, and at least this way the money can go to her and her care. Well, at least that’s how I justify it. A large part of it was I needed to read it. I didn’t read the sample chapter so while I heard that Atticus was a racist, I didn’t believe it. The way the book is written isn’t so much waving the “Atticus is super racist guys” flag, it’s more… Lee wrote this book before To Kill a Mockingbird. I’m glad she edited Atticus to not reflect the attitudes he kind of portrayed in Go Set a Watchman as much but at the same time I think this book is really needed right now. 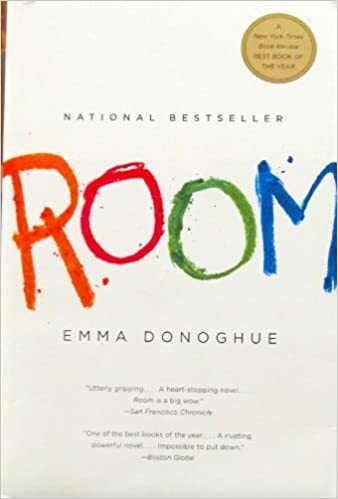 While it isn’t as wrapped up as neatly as To Kill a Mockingbird- and I’m beyond devastated about Jem, it made me think a lot about how I approach relations between people, and… Okay, if you’re going to read one book on this list read this one. I’ll leave it at that.